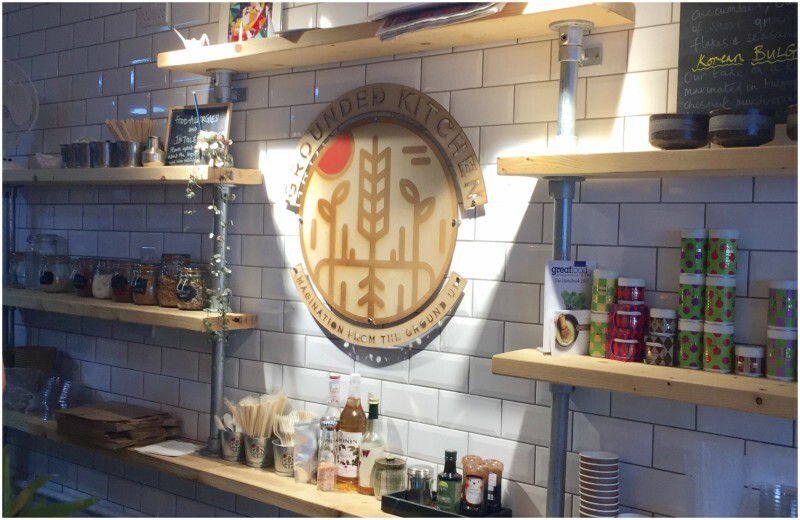 A bowl of rice and veggies may not sound appetising to everyone, but then you’ve probably not eaten at Grounded Kitchen. Korean cuisine has been high on my foodie bucket list for quite some time, so when this new cafe/restaurant opened up I wasted no time getting myself down there. Perfectly placed on trendy Queen’s Road of course. 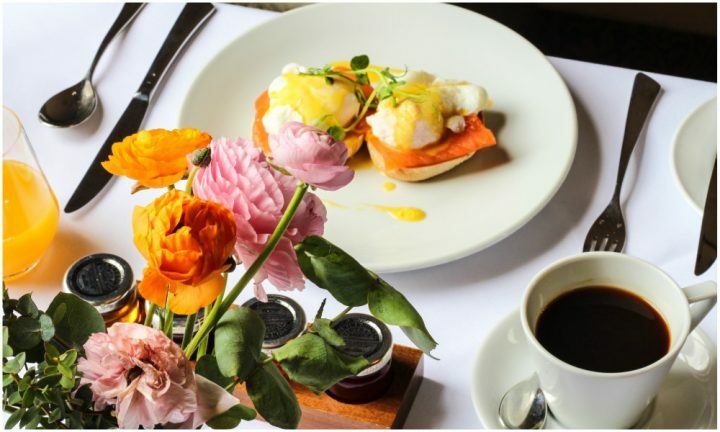 It’s a fab location with coffee shops and artisan bakeries just a few steps away should you have the urge to wash your meal down with coffee or cake. Owner Ahmed Kidy went to great lengths to get the place looking the way he wanted. He spent almost four months renovating the place and picked out everything from the lighting to the tiles and even the wall colours. 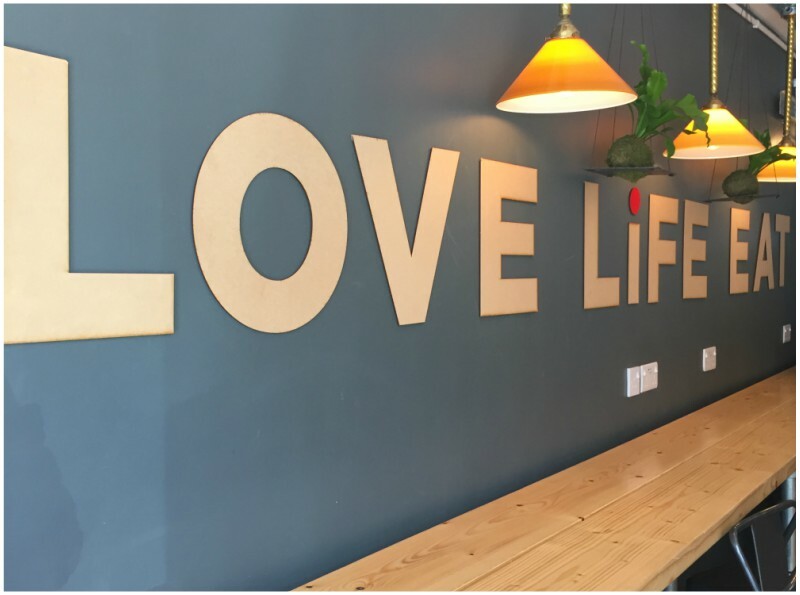 His wife Natalie added some personal artistic touches to the cafe (courtesy of the gorgeous Pelican painted on the wall). It’s obvious his heart and soul is in this place – you sense it as soon as you walk in. 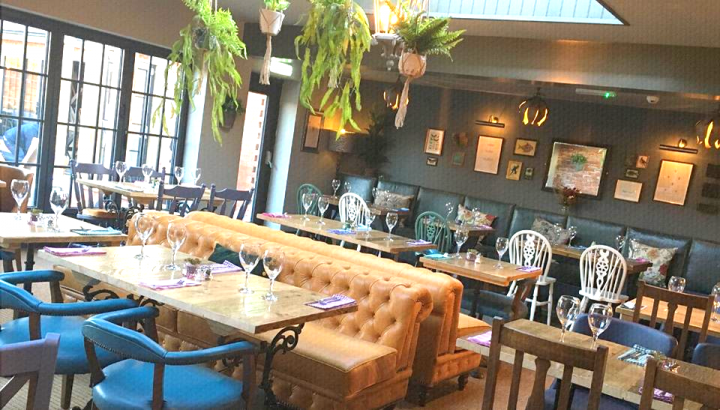 It’s a cosy space, light and bright and designed more as a place to have a quick bite and because the food is fast (but super healthy) the concept works. I visited during the tail end of lunch time and managed to grab a stool on the wooden bench along the the front window. The place was still buzzing with studenty-types, young professionals (grabbing take away) and older customers. 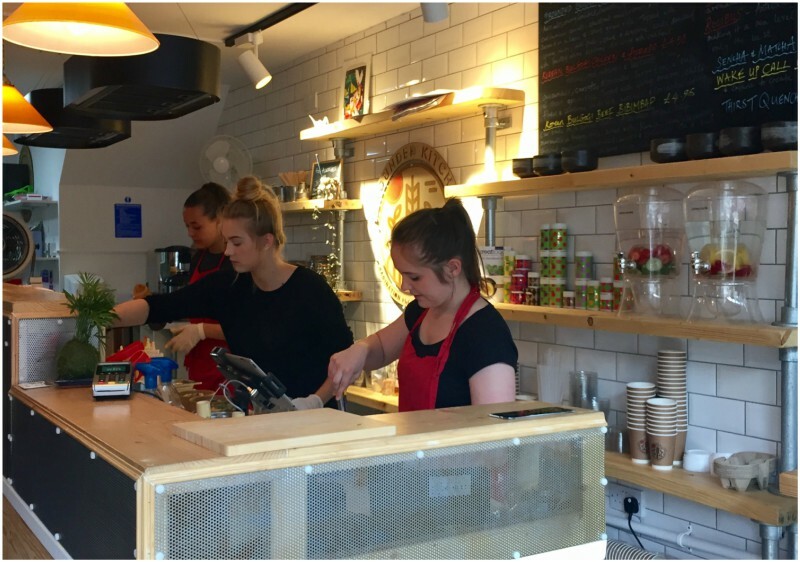 The cafe/restaurant is turning the idea of fast food on it’s head and uses the freshest and healthiest ingredients around. 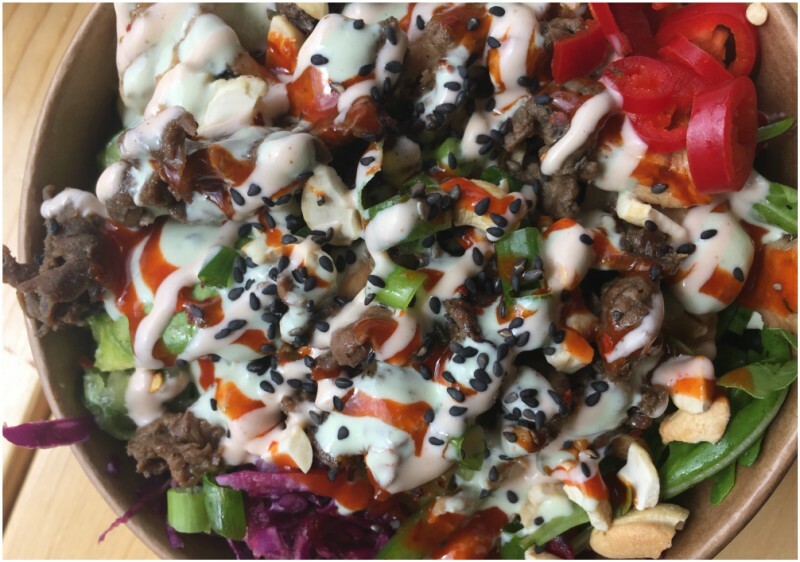 Inspired by Korean bibimbap and bulgogi, Ahmed has taken the idea of his two favourite Korean dishes and given them his own spin, as ‘Nourish bowls’ on the menu. There’s three bowls to choose from keeping quality at the heart of the business rather than quantity; bulgogi beef bibimbap, bulgogi chicken and avocado or the veggie option. I plumped up for the veggie one obvs which came with avocado, cherry tomatoes, grated carrots, cucumber, spinach, bell peppers, chestnut mushrooms, cashew nuts and coriander. It was served on a bed of Korean Gen-Ji-Mai brown rice, topped with spring onion, chilli flakes, fresh chilli, chia, sesame seeds and spicy gochujang, avocado and coriander and Japanese yum sauce. The chestnut mushrooms were so silky and smooth, the avocados were creamy and the bell peppers, nuts, spring onions and chillies added a delicious crunch and texture to the dish, but the star of the show was the combination of homemade sauces. Made fresh every morning, each bowl comes with a twist on spicy gochujang sauce, an avocado and coriander one which is yoghurt-based and the Japanese yum sauce – a blend of Japanese spices and mayonnaise. Reinforcing the idea of healthy and fresh food, chicken is baked here (not fried), everything is delivered fresh every morning and nothing is frozen overnight. 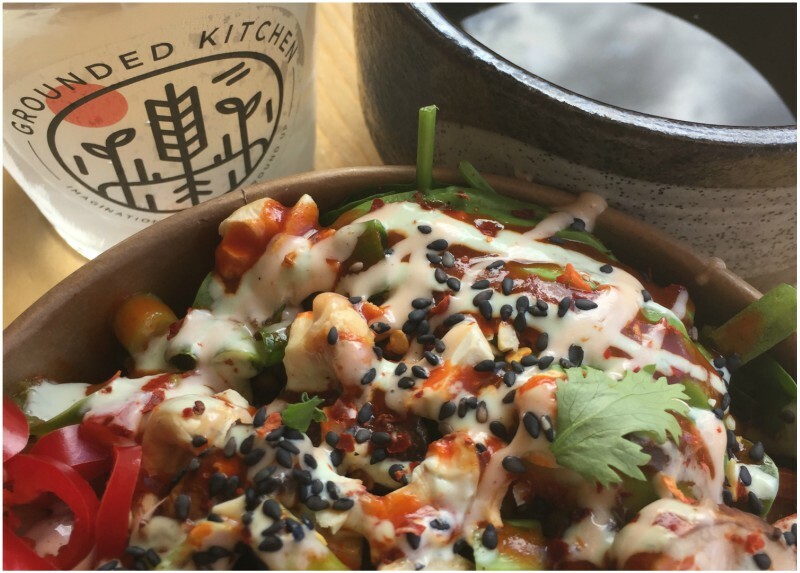 Vegan and gluten-free bowls are available and the Korean brown rice is filled with vitamin B6 and tonnes more antioxidants compared to white rice. I’ve never had Japanese Matcha tea before, so opted for the one that sounded fun. 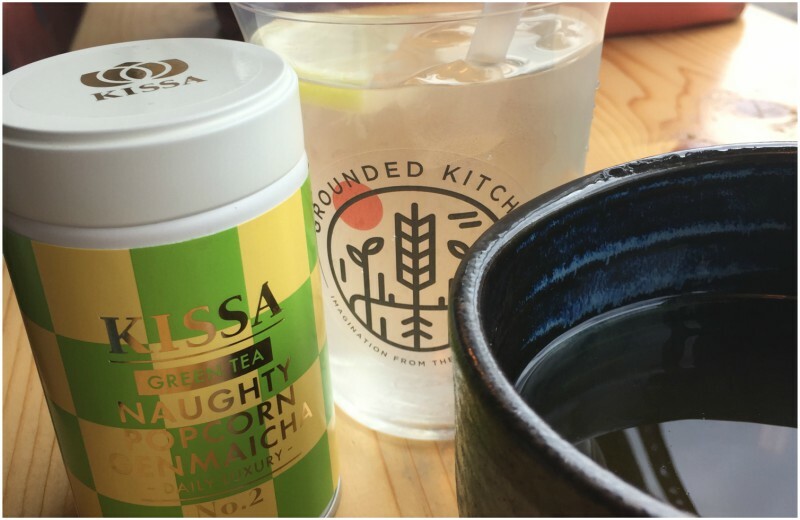 The Popcorn Genmaicha was nutty and extremely aromatic – it’s 100% organic green tea and had the right amount of popcorn flavour. It arrived in an authentic Japanese tea bowl making the entire experience one to remember. Expect healthy smoothie bowls for breakfast and a tuna steak bowl to arrive soon on the menu. Good for: a quick healthy bite to eat at lunch. No tables, just benches so not for those who like to mooch around and people watch (if you want to do that head to one of the nearby independent coffee shops). 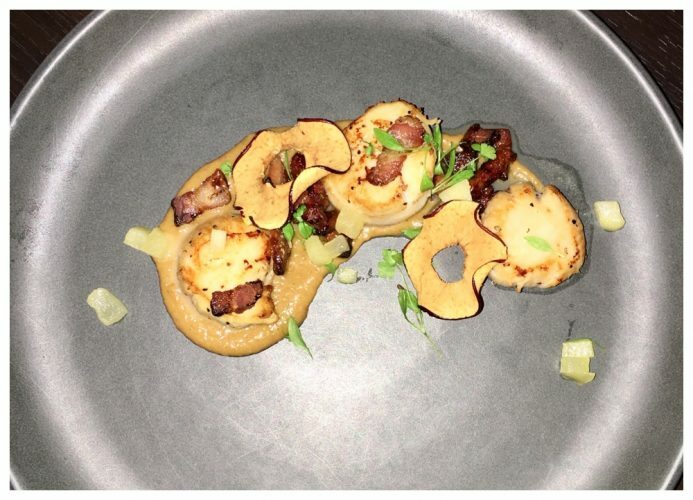 Not for: Posh noshers expecting a fine dining experience. It’s a very good café which serves exactly what it says it does wonderfully well! 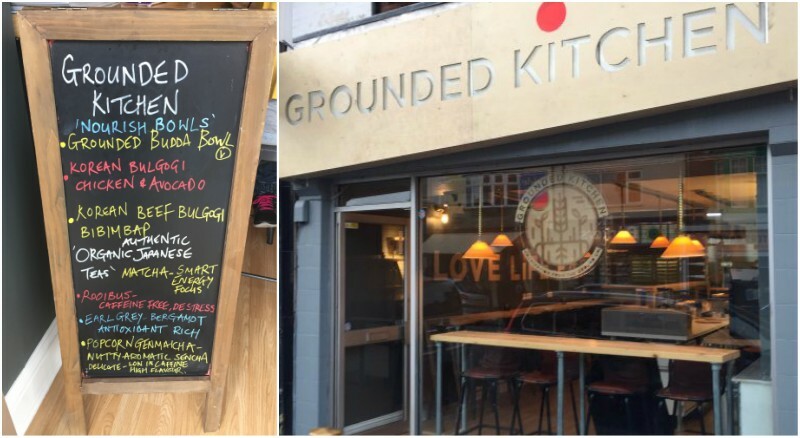 £: Extremely reasonable – every dish is under a fiver and the Japanese Matcha teas are a welcome addition.